All the designers we know have a unique way of seeing the world—they notice fine details in typography, color, texture, pattern. And that visual inspiration comes together when they’re crafting their designs in paper. The Write Stuff recently chatted with one of our favorite designers, Erin Sarpa of Simon+Kabuki and the blog Designer Droppings, about the cool trends she’s seeing right now. Erin focused on four key design trends. 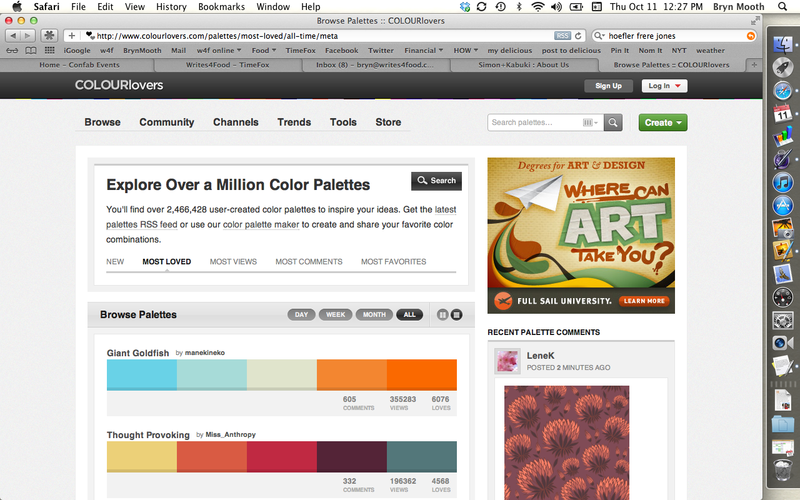 Check out the previous post on typography and color. Here, we’ll cover texture and pattern. Use these ideas to inspire your own design work! 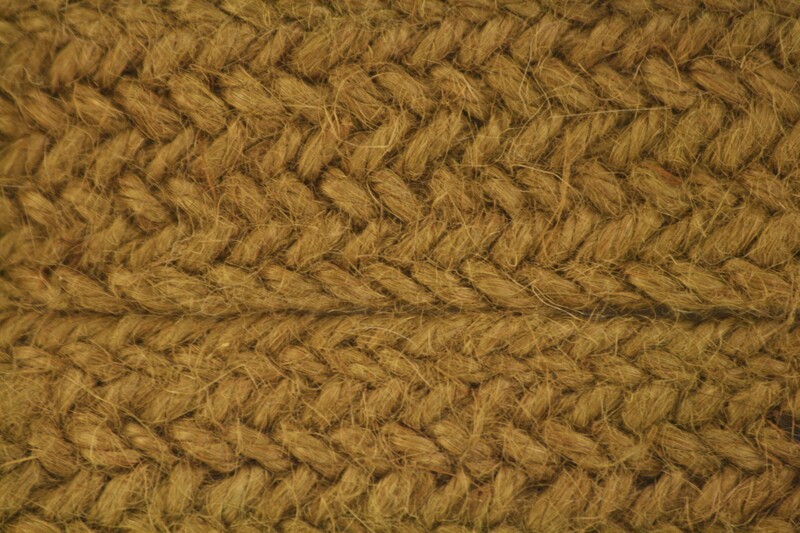 Texturemate.com — here’s a free source for textures that you can download and incorporate into your work, including fabrics, metals, stone and other materials. 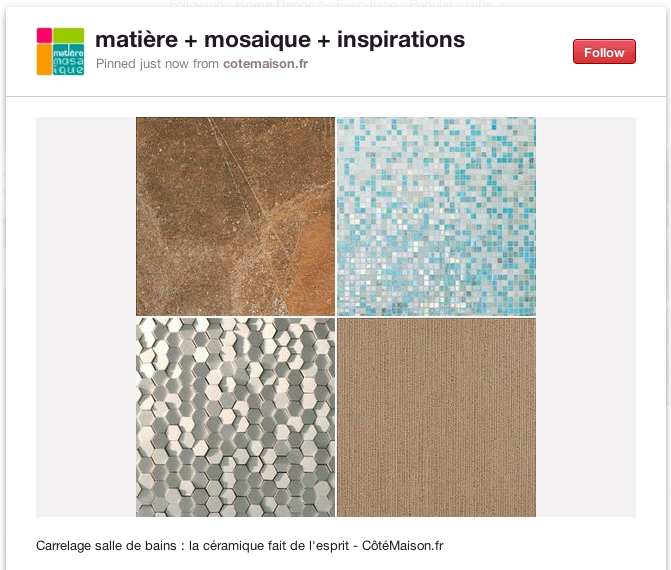 Pinterest.com — scan through the Home Decor category on Pinterest to find interesting textures in textiles, tile and wood. Looking at fashion, graphic design and home decor, Erin is seeing a big resurgence in what we’d consider old-fashioned patterns: herringbone, houndstooth and chevron. (These patterns can be embossed into paper to create a remarkable touch and feel; ask us about Stationery HQ’s embossing capabilities.) Patterns like this are especially interesting when they’re used at a huge scale. Think: a tiny houndstooth check blown up to an inch square or larger. 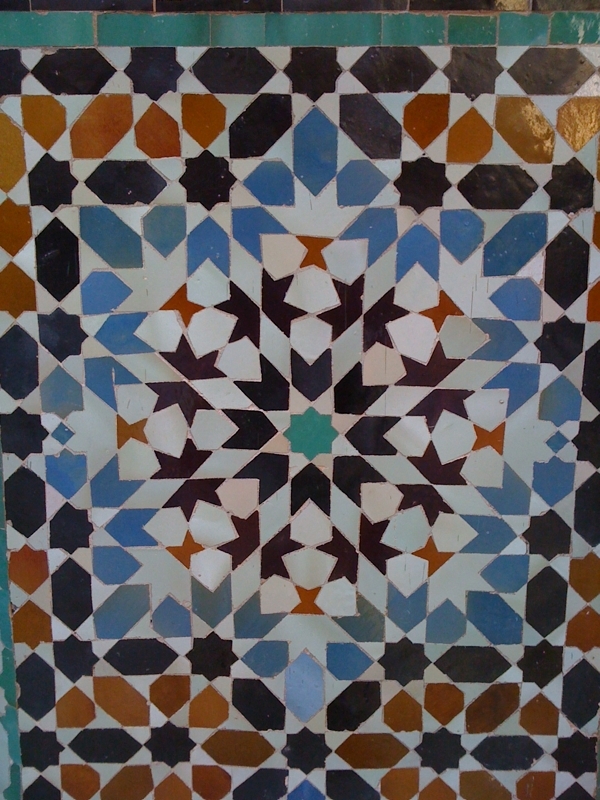 Another hot pattern trend: Moroccan tile. These ancient patterns are intricate, bold and distinctive — and gorgeous. Moroccan motifs can be used for corner embellishments, frames and other graphic details in stationery and papergoods (think of how cool a sheet of wrapping paper would look with a repeating tile pattern). Media coverage of fashion week — since fashion is so influential, it makes sense to pay attention to major media coverage of American and international fashion weeks for inspiration. You’ll see everything in designers’ collections, from pattern to texture to color. What design trends most intrigue you right now? Please share what you’re loving! Erin focused on four key design trends, and we’ll start with the first two here. Use these ideas to inspire your own design work! Type is at an all-time high, Erin says, in terms of its prominence, diversity, accessibility and style. Look around, and you’ll see a huge trend in type as art—where lettering isn’t just for communication, it’s the decoration. The buzz-y “Keep Calm and Carry On” poster design is just one example of that; you’ll also see beautiful typographical treatments of song lyrics, quotes and people’s names. Erin’s also loving the trend of hand-drawn lettering and highly customized type, and interesting combinations of typefaces. Typography.com — this website shows off the gorgeous fonts from foundry Hoefler & Frere-Jones, including some typefaces originally designed for Martha Stewart and now available to the public. You’ll recognize H&F-J’s lovely typeface Archer — it’s everywhere right now. 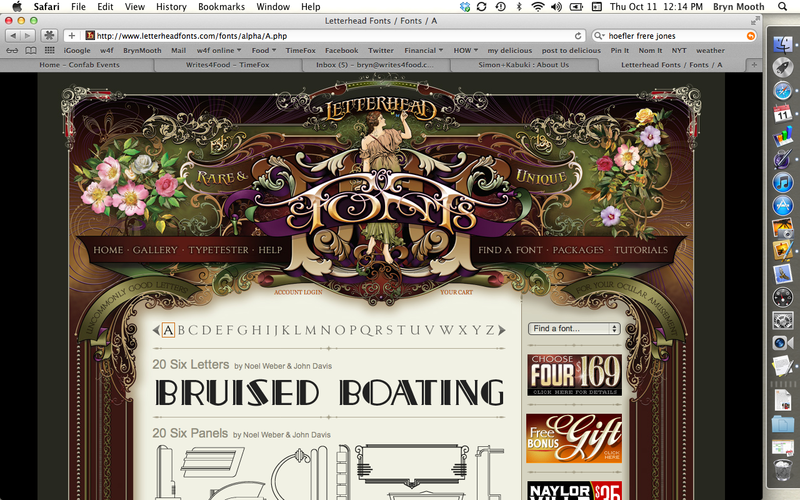 LetterheadFonts.com — a great source for super-stylish lettering (and for visual inspiration), this site offers fonts for sale and shows a gallery of their type in action. Erin predicts that a deep, rich red is going to be the “big, gigantic color” in the coming season — in fact, she’s seeing lots of muted jewel tones like dusky navy and pine-y green or olive. These rich accent colors are being paired with interesting neutrals, like not-quite-grey and not-quite black. For inspiration, Erin suggests looking at trendy nail polish colors: greys and super-dark, almost-black purples are hot right now. 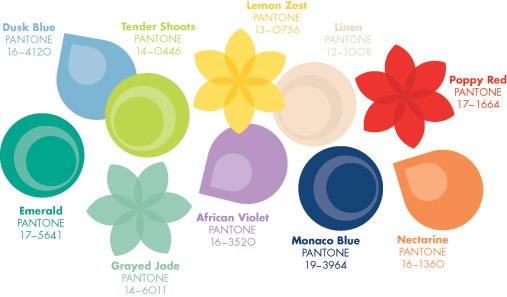 Pantone Color Forecast — of course, Pantone is the design world’s go-to source for all things color, and their seasonal fashion color forecast is a must-see for print designers. Fashion is a great predictor of color trends, as designers reveal new collections as much as a year ahead of season. ColourLovers.com — this website and community for designers is all about color; users can post color palettes and find inspiration from a huge library of color combos. Where do you turn for visual inspiration to fuel your papergoods designs? We’d love to know about your favorites; please share links here!